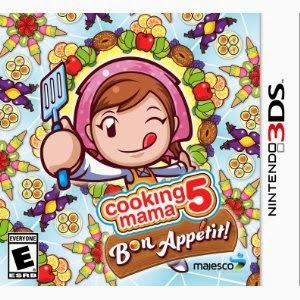 Cooking Mama is a cool game where you can assist Cooking Mama make and bake a variety of recipes. Cooking Mama has 60 awesome recipes from sandwiches to steaks as well as more exotic recipes, the game is great fun and very easy to play, you simply follow the on screen instructions and carry out various steps of each recipe from chopping, mixing, flipping and grilling, and as you complete each recipe you are rewarded with additional recipes and new game play items. We really loved the Cooking Dojo feature where you have to complete each task before the clock stops it was super exciting and fun. We also loved the fact we could customise Cooking Mamas kitchen and change the decor, you also can change the colour of Cooking Mamas headscarf and apron. 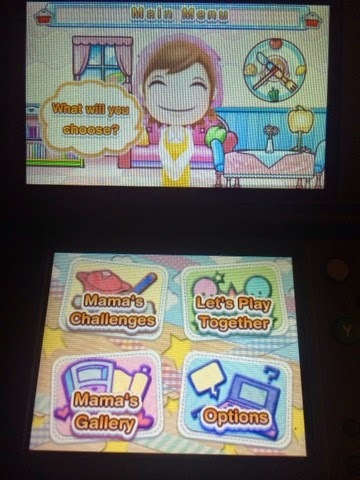 and best of all the fun is not only limited in the kitchen as there are 15 mini games and chores from helping Cooking Mama in her shop to feeding the kittens, so there is plenty to keep you occupied. 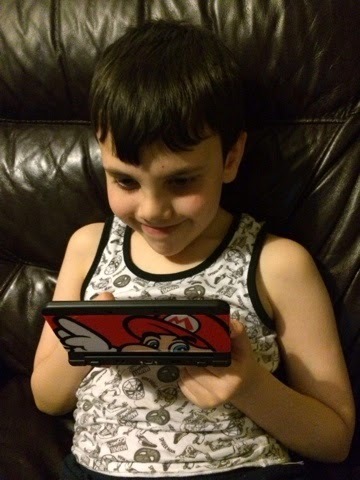 Cooking Mama is a fun interactive game which is suitable for all ages, its bright and colourful and the graphics and game play keep you engaged for hours, and with up to four players you can compete head to head which adds a competitive feature that we love.